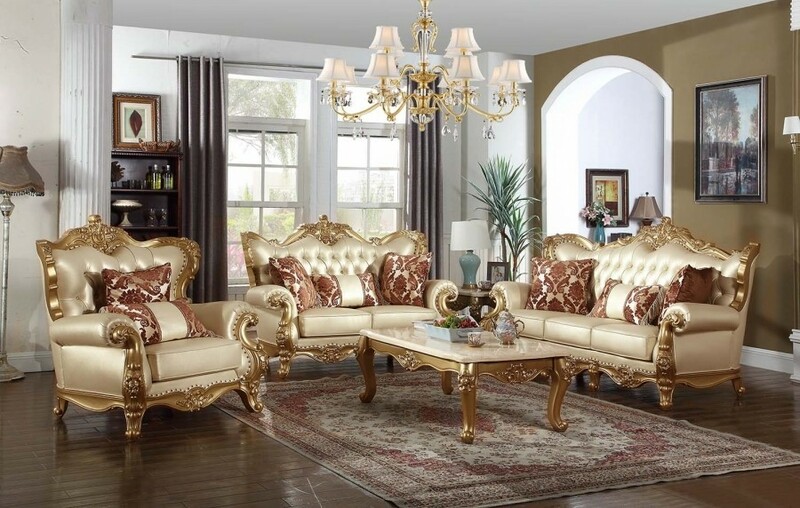 Bennito 676 living room set stands out from the rest and will turn your home into a rich traditional style palace. 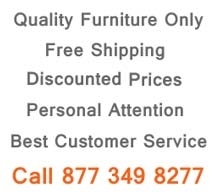 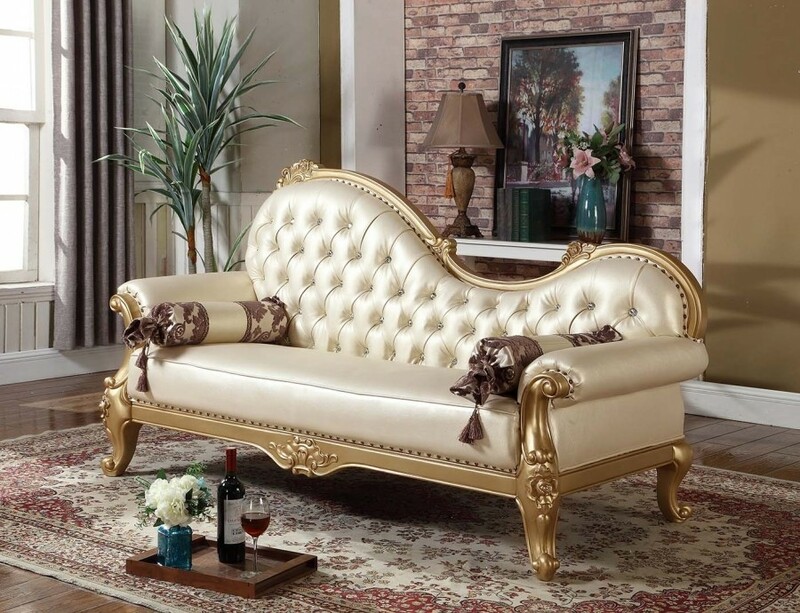 Large comfortable sofa, loveseat, chair and chaise lounge. 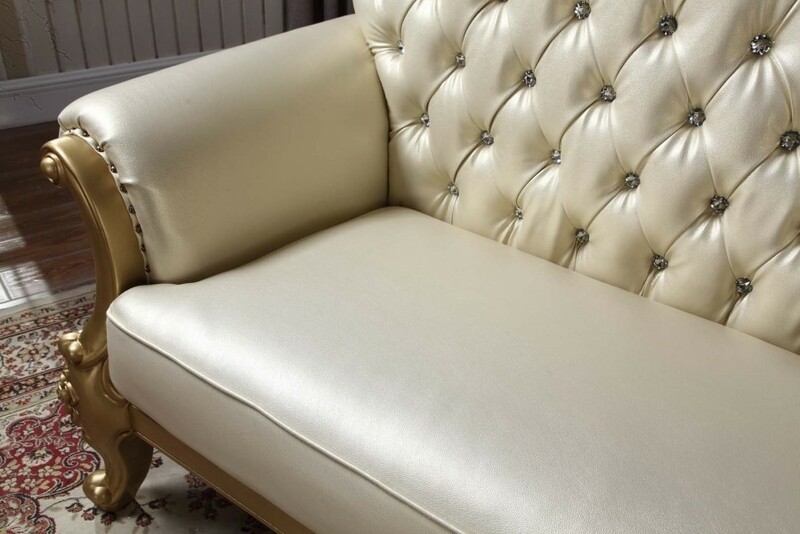 Gold color bonded leather with crystal tufted backs and gold finish solid wood hand crafted trim. 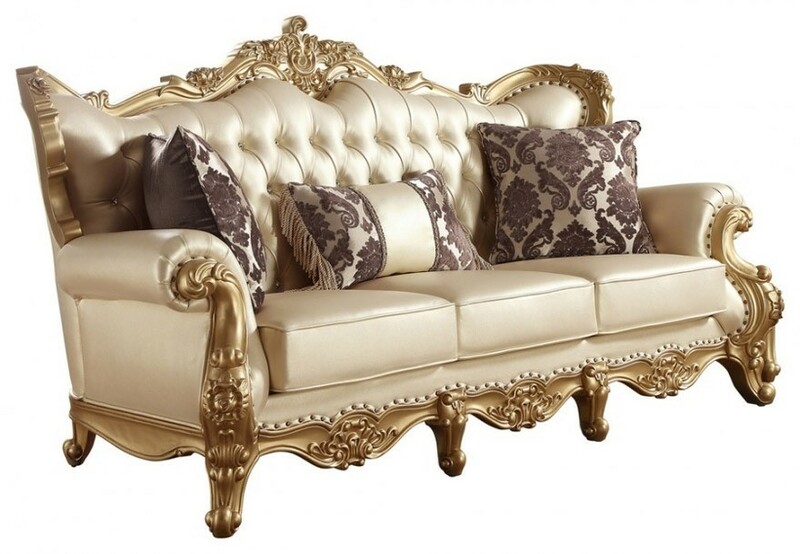 Rolled arms and curved gold finish legs add another traditional style touch to this collection. 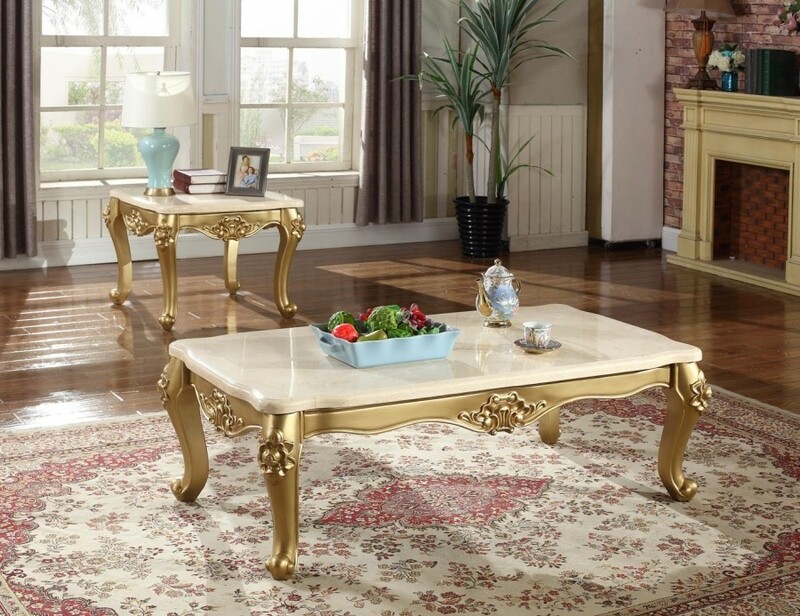 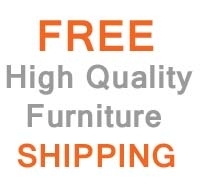 You can complete your package with a marble top matching coffee and end tables.